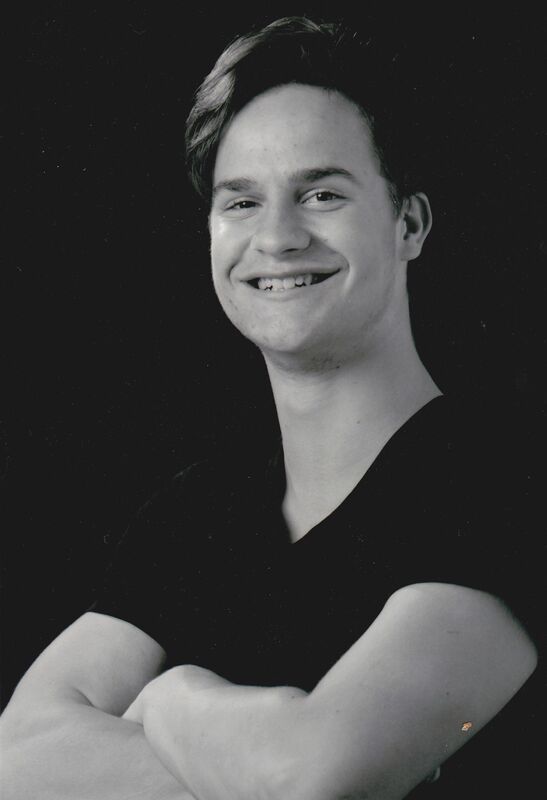 The Dance Ontario Awards Committee is delighted to announce that Ethan Bucholtz will be the recipient of this year's Jacque Foesier Youth Dance Award. The ceremony will take place on Sunday, January 27, 2019 during DanceWeekend'19 at the Fleck Dance Theatre in Toronto. Say co-nominators Shannon Perogino of Holy Cross Catholic School and TK Danceworx Competitive Team, "Ethan Bucholtz is a grade 12 student who has exuded passion and dedication to dance since the moment we met him. Outside of our secondary school performing arts community, Ethan rehearses 5-6 days a week in various genres at his own studio, TK Danceworx. Driving an hour to school each way, Ethan makes it a priority to join all dance opportunities provided at the school . Many students choose to keep their dance studio and school lives separate but instead, Ethan breathes dance between both. He has been a member of the competitive Dance Team at Holy Cross since grade 9, performs as a triple threat in the annual school productions, and is a peer leader in his ATC20/3M/4M courses. Even after Ethan received shoulder surgery, he felt compelled to cheer on his peers on their trip to STRIVE Dance Challenge’s dance intensive. He managed to complete his physiotherapy in time to compete last April, winning top Duo-Trio of the competition. Ethan radiates teamwork and ensures that all dancers feel welcome. He is committed to the team, school, and his peers, never missing a chance to support dance. His most recent performance for our Remembrance Day Ceremony was especially heartfelt. Ethan used his dance platform to raise awareness for PTSD during a powerful performance about a soldier returning from work overseas that was performed for our community. He choreographed his role so well, it left audiences in tears. He danced from his heart and captivated his peers. Ethan showed the Holy Cross community that dance is a universal language. The Youth Dance Award is named in honour of long time Board member and founding Chair of Dance Ontario Association, Jacque Foesier whose lifetime commitment to bringing dance to youth from all backgrounds is a shining example for us all. Due to the generosity of the Foesier Family and their friends Martha Jarrell, Roberta Kremer & the Finkelstein Family, Gerald P. King, Susan Lapell, Amy Stone, Karlee Vukets, this award will carry a cash contribution towards the recipient's ongoing training.